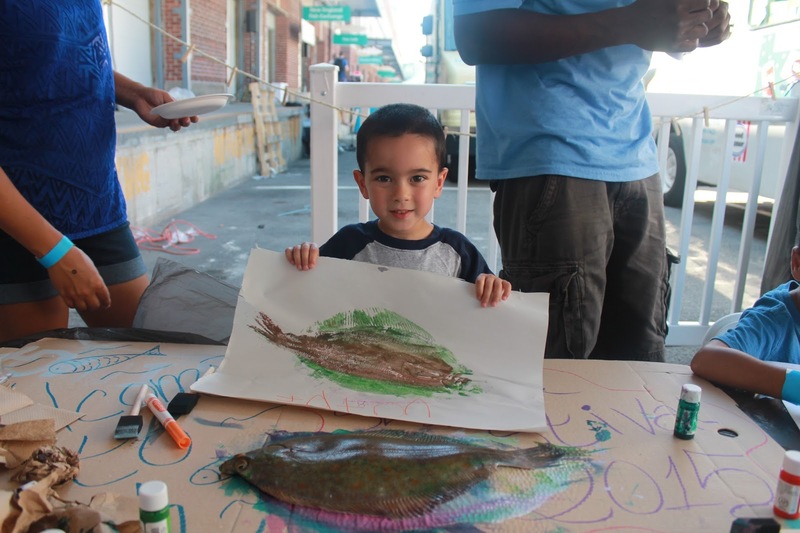 Sea, Sand & Sky: Fantastic Fish Printing at the Boston Seafood Festival! Fantastic Fish Printing at the Boston Seafood Festival! 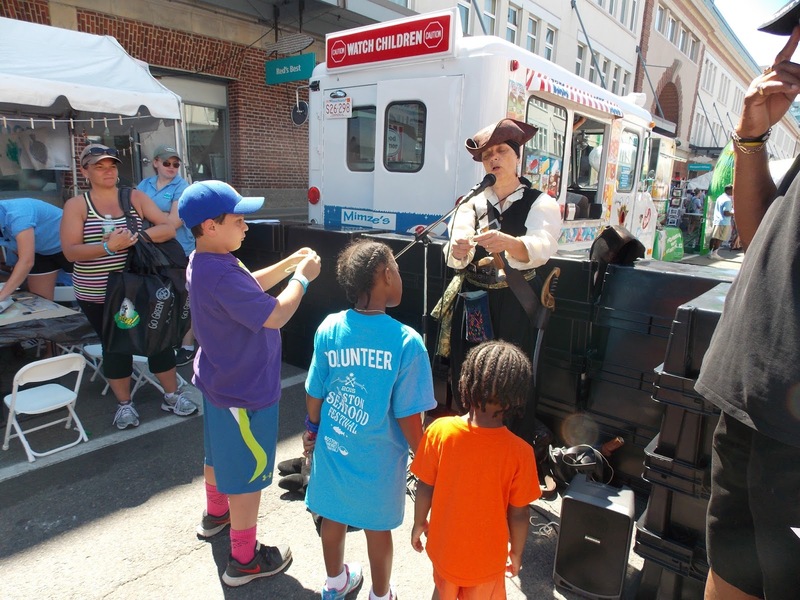 Today, Save the Harbor joined in on the festivities at the Boston Seafood Festival on the Fish Pier! Our staff had a blast hanging out in the children's activities tent with all of the seafood-loving kids of Boston. 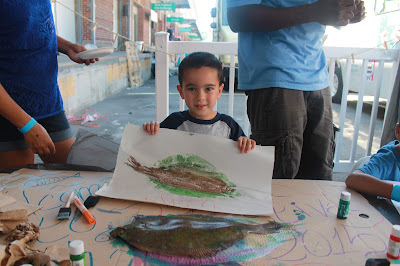 We spent the day teaching kids and families the ancient art of fish printing, or Gyotaku! We used fresh flounder from the harbor and everyone was shocked to see that we were using real fish! We used India Ink and newsprint paper to create our one-of-a-kind art pieces. Everyone had a blast and was so proud of their work, refrigerators all over Boston are going to be covered in fish prints this week! Mary Read the Pirate also joined us for some storytelling in the tent! Eager children crowded around her as she told stories of how she became a pirate on Boston Harbor. She also taught everyone how to tie square knots and sing sea shanties! She rewarded all of the successful square knotters with a piece of foreign currency from her travels. It was a fantastic day spent outside on the fish pier trying delicious seafood, watching street performers, and making beautiful fish prints. 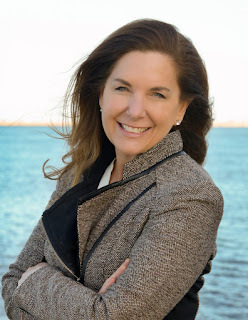 I'm already looking forward to next year's Seafood Festival!